Dhoni's batting form has come under increasing scrutiny. India’s 43-defeat to the West Indies in the third ODI at Pune on Saturday once again served up a reminder of MS Dhoni’s waning influence with the bat in hand. Despite skipper Virat Kohli becoming the first India batsman to slam three consecutive ODI tons, the hosts were unable to overcome a spirited West Indies showing as the visitors stormed back to level the five-match series at 1-1. Having been set a target of 284 to win, India were within sights of victory all innings long until Kohli was dismissed in the 42nd over by Marlon Samuels. It was a situation which was tailor-made for the Dhoni of yesteryear to come in and do the finishing job. 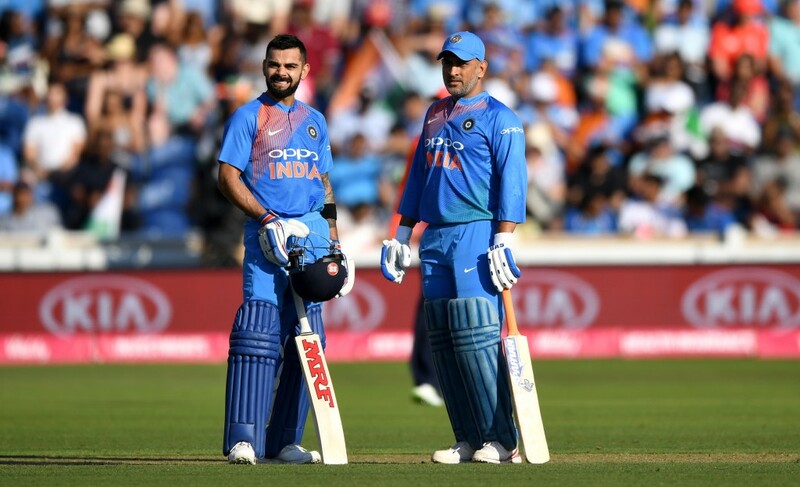 The veteran wicketkeeper batsman had walked in to bat with India at 172-4 in the chase following the dismissal of Rishabh Pant, a man very much earmarked to be Dhoni’s successor in the limited-overs set up. With Kohli going strong at the other end, the stage was set for Dhoni to do what he does best, or did, until a point of time. Many a times in the past the 37-year-old has rescued India from worse situations with his ability to soak up the pressure and then finish the job without a fuss. It was not to be on Saturday with Dhoni’s innings coming to a tame end after he edged a Jason Holder delivery into the hands of wicketkeeper Shai Hope. His dismissal for seven means Dhoni’s ODI record in 2018 now reads 252 runs in 12 innings, at an average of just over 25 along with a strike-rate of 68.10. The right-hander has now failed to register a single half-century in the format since his 65 against Sri Lanka at Dharamshala in December 2017. Dhoni has not scored a single ODI fifty in 2018. His poor form means India are effectively playing him as a specialist wicketkeeper. There is no denying that Dhoni’s glove work behind the stumps, especially against the spinners, remains top notch. His vocal guidance to the spinners is exemplary, with the stalwart even being described at times as India’s spin captain. However, with Dhoni in the side, India lack balance big time as shown by Saturday’s loss. Without an all-rounder in the side like Hardik Pandya, Ravindra Jadeja and even Kedar Jadhav, the side is effectively playing five specialist batsmen and a wicketkeeper. With Bhuvneshwar Kumar coming in to bat at number seven as in the third ODI, India’s tail become a lengthy one. The inadequacies of that line-up was exposed on Saturday with the game going well beyond India once Kohli became the seventh batsman to be dismissed. India’s imbalanced line-up is in stark contrast to No1 ranked England, who have filled up their side with all-rounders all the way down to even the number 10 batting position. 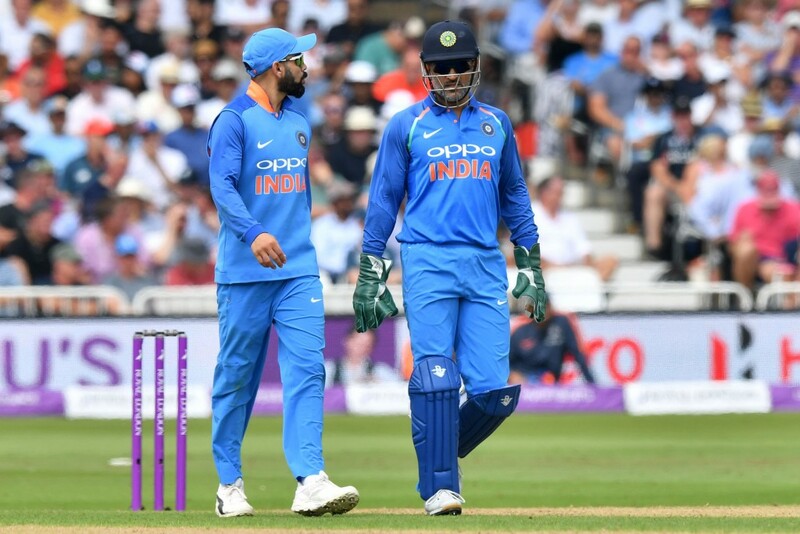 The side’s middle-order and lower-order woes have been well known for some time now with the problem only exacerbated by Dhoni’s weak batting. As such, the pressure on the excellent top-order to fire becomes even greater. What happens when the top-order gets going has already been shown in India’s 2017 ICC Champions Trophy final defeat at the hands of arch-rivals Pakistan and to a certain extent on Saturday. Dhoni’s glove work behind the stumps remains excellent. With Dhoni in the side, it becomes even more imperative for India to play an all-rounder to bring some semblance of balance and that problem was even alluded to by Kohli following the Pune defeat. “Look when Hardik Pandya and Kedar (Jadhav) both play, we get the extra option. When someone like Hardik is not playing, who gives you both bowling and batting option, it is difficult to get the balance,” the India skipper had stated after the defeat. The India selectors have finally taken the hard step by dropping Dhoni from the T20 outfit. By the look of things, Dhoni will keep his ODI place until the 2019 World Cup at least and that means India will have to live with the handicap when it comes to the team’s balance. By not taking the tough decision when it comes to Dhoni’s ODI form, India have tied their own hands going into the World Cup and will now have to pray and hope that the veteran can summon his old powers back and rediscover his touch in the few months that remain before the event. India received one good and one bad news on the fitness front as pace spearhead Ishant Sharma bowled at the nets of the Indian team on Tuesday while young seamer Shardul Thakur was ruled out for up to seven weeks following a tendon injury. Senior quick Ishant bowled during the Indian team’s training session in Vizag on the eve of the second ODI against the West Indies. The tall pacer had been out of action after an ankle injury he picked up in the England Test series. The 30-year-old bowled for about half an hour on Tuesday. 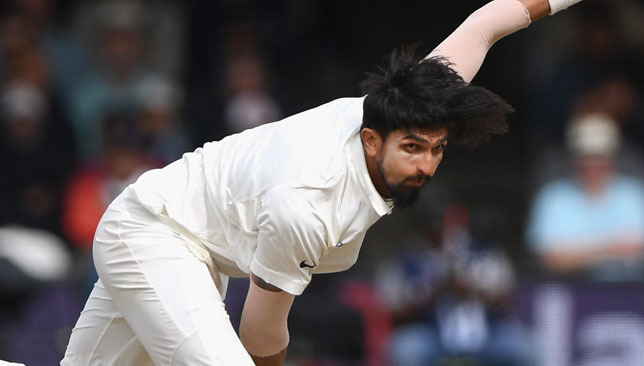 Ishant’s imminent return is good news for the Indian team as it looks to field a fully fit bowling unit in Australia at the end of the year, something it failed to do for vast parts of the England series following injuries to Bhuvneshwar Kumar and Jasprit Bumrah. Ishant’s return to fitness comes at a time when Thakur – who picked a right adductor tendon injury on his Test debut against the West Indies in the Hyderabad Test – has been asked to undergo rehab for at least seven weeks. Thakur bowled just 1.4 overs on his Test debut before being forced off the field. That means Shardul will miss the three-match T20 series in Australia – which starts on November 21 – and at least part of the four-match Test encounter that begins on December 6. India and Australia play a three-match ODI series beginning January 12. Kohli and Rohit finish the job. Image- BCCI/Twitter. There is an ODI series going on in India against the West Indies. But on Wednesday, the actual contest will be pushed to the back burner as India skipper Virat Kohli approaches 10,000 runs in ODIs. Kohli needs 81 more runs to reach that landmark and given the lack of bite in the West Indies bowling, expect the ace batsman to reach the milestone in the second match of the series in Vizag. 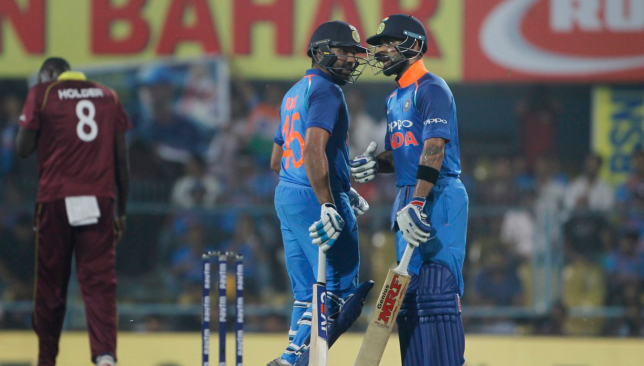 India enter the game high on confidence in the batting department, having chased down 323 with nearly eight overs left in the first match in Guwahati as Kohli cracked 140 while opener Rohit Sharma smashed an unbeaten 152. The Caribbean side need to plug many holes as India too will look to tighten things up in Vizag. Here we take a look at the main talking points in the second game. Kohli is already considered by many as the greatest ODI batsman of all time because of his phenomenal record in 50-over matches. He has 20 centuries in 75 successful chases, which is already way better than the next man on the list – Sachin Tendulkar with 14 tons in 124 innings. He has 36 ODI centuries and if he gets to within 19 runs of his 37th in the second match, he would cross the 10,000-run mark. If the India skipper does manage to reach the landmark today, he would have done so in 205 innings – once again by far the quickest to the mark. Sachin Tendulkar reached the milestone in 259 ODI innings. There are very few batting records out of Kohli’s reach. By the time he finishes his career, he should have most of them in his bag. The only thing that can stop him is his workload and burnout. In India, there seems no stopping the all-time great. Kuldeep Yadav is India’s best ODI bowler this year with 36 wickets at 17.25. He was also their best bowler in the last match (Asia Cup Final) with three crucial wickets. India’s batting was brilliant in the first match in Guwahati. But their bowling and fielding was far from top-notch. India’s fielders, including Kohli, dived over the ball and allowed a handful of boundaries while Rishabh Pant – in the outfield – struggled and even dropped Jason Holder in the death overs. In the bowling department, only leg-spinner Yuzvendra Chahal (3-41) impressed with his control as all other bowlers went for plenty with Mohammed Shami bleeding 2-81. The men in blue didn’t pick left-arm wrist spinner Kuldeep Yadav in the first match and since they announced the same playing XI for the second game, expect him to come in for either Shami or spinner Ravindra Jadeja. The wickets at next year’s World Cup in England are likely to be as true as the one in Guwahati and India need to have at least two solid back-up bowlers behind Jasprit Bumrah, Bhuvneshwar Kumar, Kuldeep and Chahal. Another opportunity for the likes of Umesh Yadav and Khaleel Ahmed. Oshane Thomas made waves in first ODI. Image: Windies Cricket/Twitter. For the first 55 overs of the opening match, the West Indies did exceedingly well. Shimron Hetmyer cracked a fine century while opener Kieran Powell scored fifty. If they had kept even one more wicket going into the death overs, they would have easily scored 350. Then with the ball, burly fast bowler Oshane Thomas rattled the Indians with pace touching 150kph. He induced more than a few false shots from Kohli and on another day would have taken at least three wickets in his opening spell. But Kohli and Rohit survived, taking the sting out of the West Indies bowling. 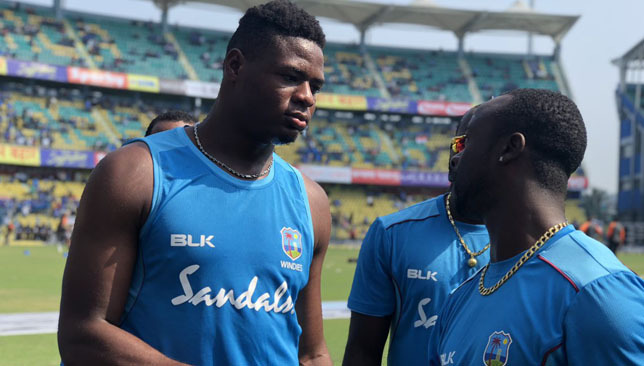 The rest of the attack, including the experienced Kemar Roach and skipper Jason Holder couldn’t do much as the chance was gone. When Thomas returned, his pace was right down and it became target practice for India. Even so, the Windies have a much better account of themselves compared to the Tests and if they can somehow get Rohit and/or Kohli early, the untested Indian middle order will be in for a challenge.